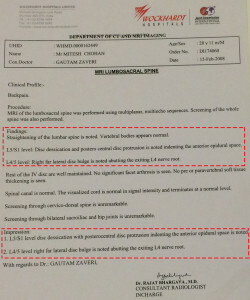 Working as a software developer, I suffered from a serious back injury a few years ago because I had ignored the warning signs from my lower back. 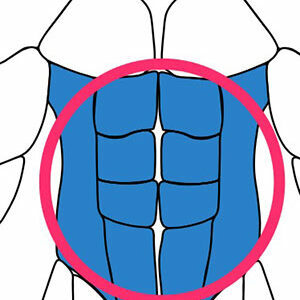 With constant agony and chronic lower back pains, it took me about two years of extensive research, trial & error and belief in myself to find a solution to this problem. 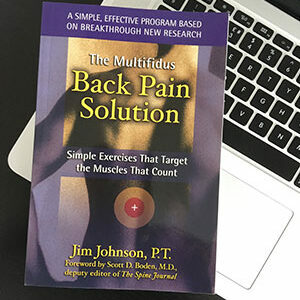 It was looking very bleak, and I had nearly resigned to the fact that I would have to live with chronic back pain for years to come. However, being a natural problem solver, I persevered in looking for a solution. You see, In 2003, I started to notice something wasn’t right when sitting at my desk at work. I started to feel pains in the lower part of my back that I didn’t pay too much to. I simply put it down to the fact that I may have developed a weak lower back due to long periods of sitting at my day job as a computer programmer. During this period, I also started to notice that I was unable to sit on various soft surfaces. Sitting on a soft sofa or chair would feel uncomfortable, and my lower back was close to being pulled out of place. Still I didn’t seek professional advice, thinking that it will resolve after a few weeks of rest. But it turned out differently. One hot summers day (yep, we used to get sun here in the uk! ), I was unable to stand upright after pulling my back from stepping out of my car after a long drive visiting my parents. This lasted a few days. This pain gradually got a little worse within the week as the simple action of getting out of bed resulted in me pulling my back once again. It was a slipped disc from what I now understand. 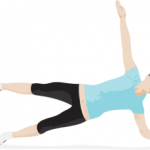 The lower back was still recovering from the original injury, and the simple motion of getting out of bed had exacerbated the condition. This point marks the beginning of a very lengthy road to recovery, of which I didn’t know of at the time! The year was 2007. I would constantly feel an annoying sharp pain with certain movements throughout my day. Each time it would feel like it was distracting me from what I was doing as it would radiate from the lower back region down to my legs. Terrible right? 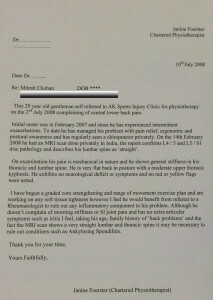 I sought help from Chiropractors and Physiotherapists. I got various explanations as to what might be wrong. I was advised to do stretching exercises regularly. 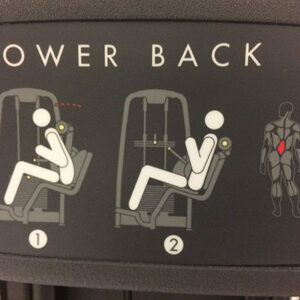 However, these exercises were not improving the condition. Imagine, I suffered for two long years! I know this isn’t right, this pain exhausted me from physical and mental wellbeing as I tried a number of expensive treatments. I had consulted two Chiropractors which had different opinions. The first Chiropractor came to the conclusion that I had an ‘unstable’ sacroiliac joint. “This ailment can be exacerbated by many actions, but particularly by heavy lifting, prolonged standing or prolonged sitting” as quoted in his report. The Chiropractor carried out various stretching exercises on each visit. I spent around two months in the treatment without being able to alleviate any of my pain. I, therefore, decided to look for a second opinion. My second Chiropractor carried out an X-ray on my lower back. Based on the X-ray result, he concluded that a vertebral subluxation was present. 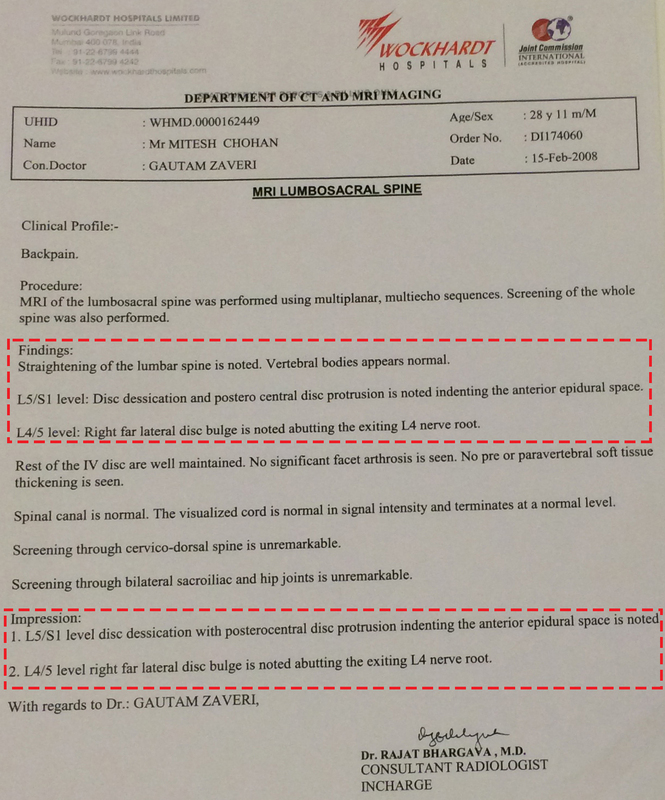 This diagnosis meant that a vertebra had moved out of its normal zone of motion, causing interference with the proper function of the nervous system at that level. This displacement was causing the chronic pains, as he explained. The pain was gradually relieved, and my visits were reduced to once every two to three months. My condition was getting better; thus my therapy sessions became shorter. However, I still wasn’t 100% pain-free from various movements or any form of medium-heavy lifting. But at this point, I had given up to the fact that I would have to keep having these treatments every few months. 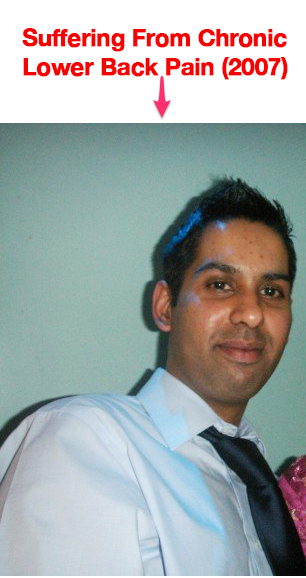 In February 2008 I was thinking of planning a trip to India to attend a family wedding but due to my back condition I was in two minds. However I knew I would be able to get a fast medical assessment while there for a fraction of the cost compared to the UK. 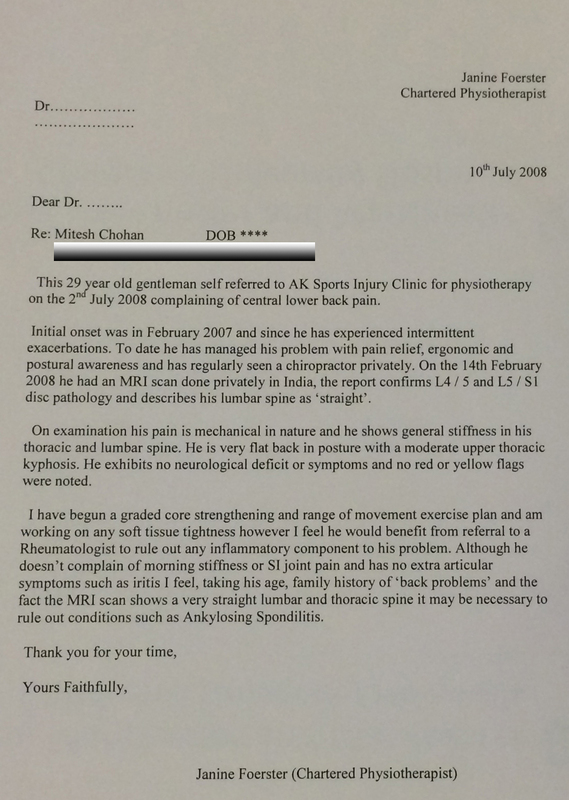 To this end, I decided to go to India and have an MRI Scan carried out on my lower back to see if they could help. Trying to have an MRI Scan carried out under the NHS in UK would have simply taken too long or may not have been possible. I did consider paying privately, but this would have cost too much, especially as I had already spent a lot of money on unsuccessful treatments. By making the decision to have this done abroad worked very well financially. It cost me around £120 and two days to get the results. The date of the MRI scan was 14th February, to those of you in the uk, yes this is Valentines day, so of all the days, this was the day that my lower back was finally going to get some direct love! After speaking to the consultant in India, based on the MRI Scan he concluded that some of my lower discs were worn out. To try and help my back pain he advised me to carry out various exercises, all of which I had tried and were unsuccessful. He suggested I must use my back daily doing the exercise he prescribed. 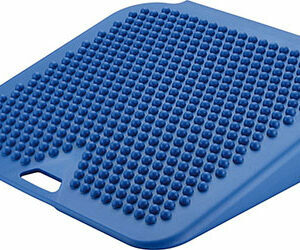 However having tried this again, my back was simply not feeling durable over the course of the treatment. After coming back from India, I was still determined to try and solve my lower back pain. I went to see another different Physiotherapist to get their opinions on what might be causing the chronic pains and provide a resolution. This Physiotherapist thought my spine was unusually very straight. As a result they thought this may be causing the issues, again…. The Physiotherapist was going to refer me to a Rheumatologist. However, this was all too scary for me so I simply said No and stopped seeing that Physiotherapist. Opinions from other Physiotherapists viewed that a scab like tissue might have formed due to lack of movement during the healing process and this could be causing the pain. Well, after all this, I had finally come to realize that chronic back pain is something I’ll have to live with for the rest of my life. By this time, the pain was not too bad. However, I had to be careful as sudden movements, etc. would bring back the pains in the lower back. A few months later I was discussing my back problems with one of my Uncles who I hadn’t seen for a while (he’s a gym rat!). This point of my life was the crucial turning point. – This lengthy conversation has resulted in me changing my entire thought process regarding how to solve my lower back issues. 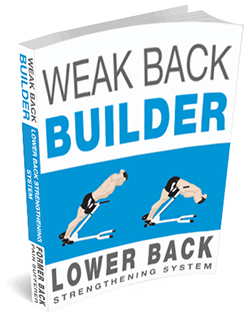 I have managed to transform my weak lower back with chronic pains into a strong, pain free back, free from the chronic pains I had tried so hard to resolve in the past while seeking medical help. As you can probably see from what you have read so far, I had exhausted all avenues in trying to resolve my chronic back pains. After speaking to my uncle, he explained that maybe my back muscles were too weak to support my body weight that they simply couldn’t get any stronger from what I had tried. muscle can only become strong if put through controlled and targeted endurance with gradual resistance over time. So there we have it, one crucial meeting with my uncle that has been truly life changing for me.